Genuine British Army Surplus Brand new, may or may not be in original packaging but will be un..
2 large vertical chest map pockets with zip fastening and internal pen pockets. Wired hood with draw cord. Double lined at shoulder area to aid ventilation. 50% Polyester / 50% Cotton Fabric. 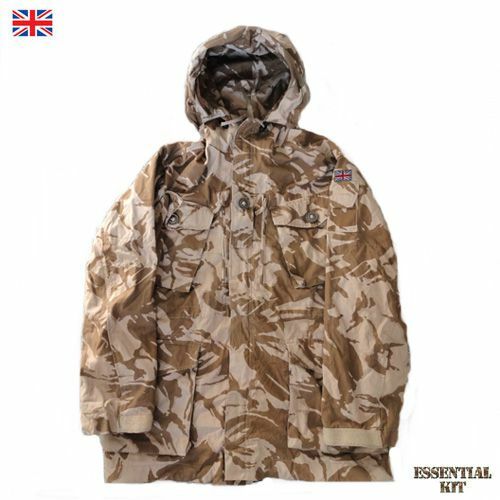 The Soldier 95 Windproof Smock is a generous fit to allow it to be worn over other clothing layers in cooler climates. Check our Grades & Sizes page for more info on NATO sizing. May have names on labels and inside clothing.